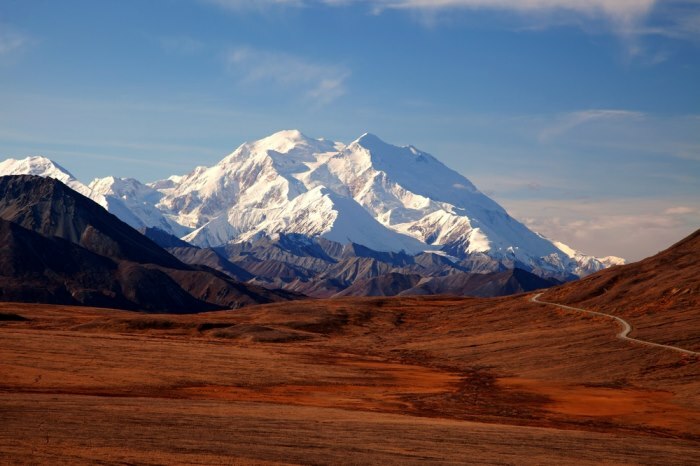 Just like all the highest mountains in the world are in the Himalayan mountains (the top 100 even), the top 10 highest peaks in the USA can all be found in Alaska. Number 12 would be the first mountain outside of Alaska: Mount Whitney in California, 14.505 feet high. Mount Hunger (aka Begguya) is one of the most technically difficult mountains to climb in the US because it is such a complex structure with corniced ridges and extremely steep faces. It is 4442 meters (14,573 feet) above sea level, making it the third highest peak in the Alaska Range. Mount Hunter was first ascended in 1954. It is located in Denali National Park in Alaska between Mount Foraker and Mount McKinley. Mount Bear is located close to the Canadian border in the Wrangell–St. Elias National Park and Preserve in Alaska. It is good for skiing as well as mountain climbing, but it doesn’t get many visitors. It has an elevation of 4520 meters (14,831 feet) and a vertical relief of almost 1524 meters (5,000 feet). The peak at Mount Bear offers some amazing views of the other high peaks in the St. Elias Mountain Range. There are several routes up the mountain for people who come to climb it. 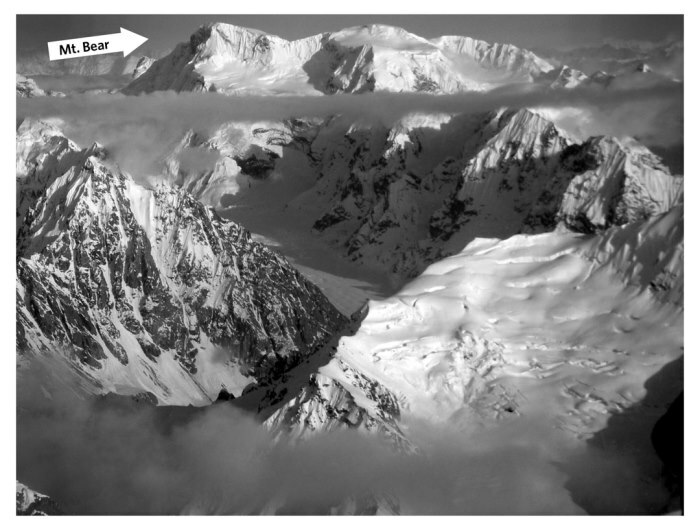 Mount Hubbard is also part of the St. Elias Mountain Range. It is located in both Canada and Alaska – the Canadian side is within Kluane National Park. Mount Hubbard has an elevation of 4557 meters (14,951 feet) above sea level. 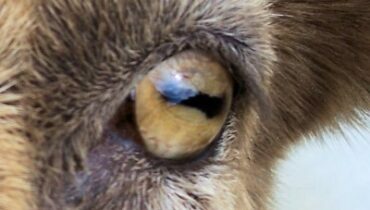 It was named after the first president of the National Geographic Society. 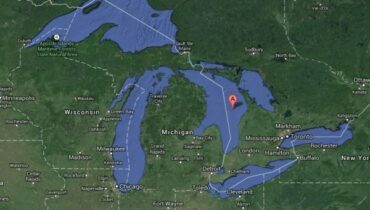 Mount Hubbard is the eight highest peak in the US, and the twelfth highest peak in Canada. There are two other peaks that are part of the same massif as Mount Hubbard – Mount Kennedy and Mount Alverstone. Mount Fairweather is one of the highest coastal mountains on the planet with an elevation of 4,671 meters (15,325 feet). This is another peak on the Alaska/Canada border, and it is also part of St. Elias Mountain Range. The summit of this peak is often hidden by clouds because of the poor weather conditions in this part of Alaska Panhandle – the name ‘Fairweather’ was given to this mountain by Captain James Cook back in the eighteenth century during a time when the weather was unusually mild. As well as being the sixth highest peak, Mount Sanford is also the third highest volcanoes in the United States. It is located close to Copper River in Eastern Alaska and is part of the Wrangell Mountain Range. Mount Sanford has an elevation of 4,949 meters (16,237 feet). 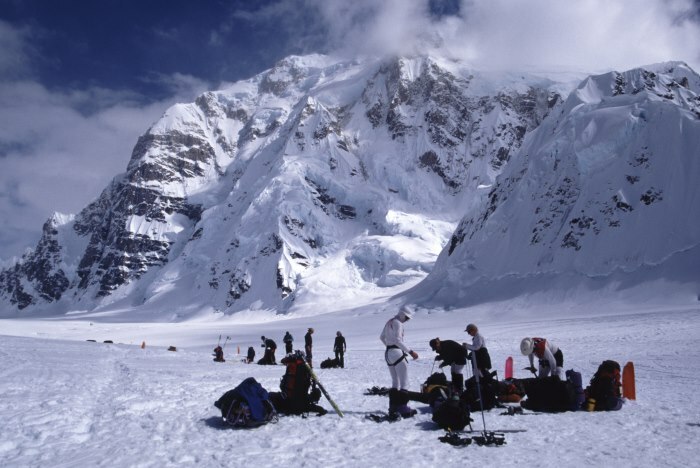 Visitors come to the area to ski as well as climb the mountain – the climb is not too technically challenging, but it involves a long glacier hike. Mount Sanford was the location of a tragic accident in 1948 when a Northwest Airlines Flight crashed into the mountain killing everyone on board. Mount Blackburn is 4,996 meters above sea level and the second highest volcano in the US. 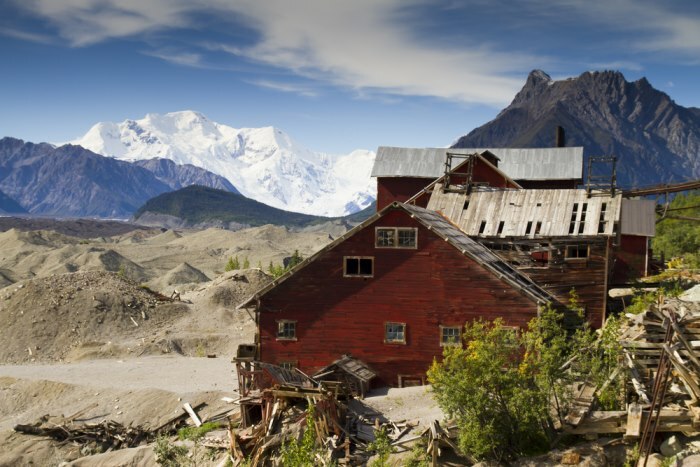 It has the highest peak in the Wrangell Mountain Range, and it is right in the centre of St. Elias National Park. Mount Blackburn is named after a democratic US senator from Kentucky – it was given this name in 1885 by a lieutenant in the US army. This mountain is covered with glaciers and ice fields, and the peak offers some superb views Nabesna Glacier which is over 120 km in length. Mount Bona is a stratovolcano that is covered in ice. It is 5,005 meters (16,421 feet) above sea level making it is the highest volcano in the US. It has the rare distinction of being named after a racing yacht – the name was given by the Duke of the Abruzzi in 1897. Mount Bona is located close to Mount Churchill, and it is common for climbers to do both of these ascents as part of the one trip. The most popular climbing route is along the East Ridge. 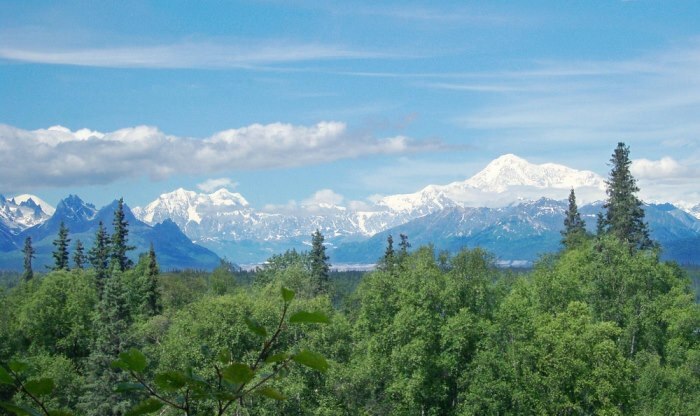 Mount Foraker can be found inside Denali National Park in the Central Alaska Range – it is about 23 kilometres from Mount McKinley. The Tanama Indians referred to this mountain as ‘Sultana’ which can be translated as ‘the woman’. 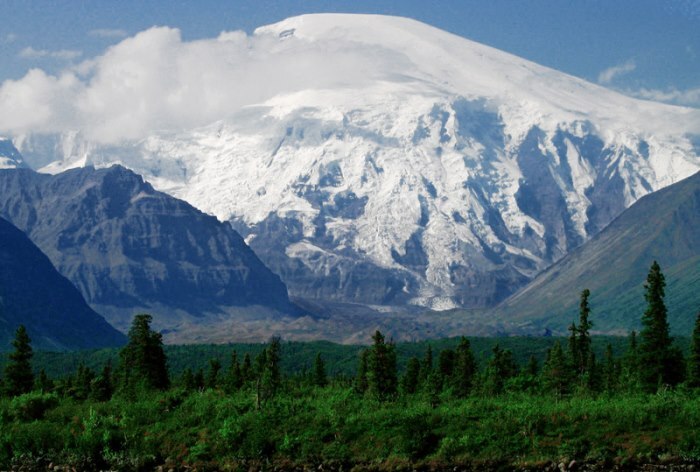 Mount Foraker is 5,304 meters (17,400 feet) above sea level – it was first ascended back in 1934. The most challenging path up the mountain involves the Infinite Spur route on the South Face. 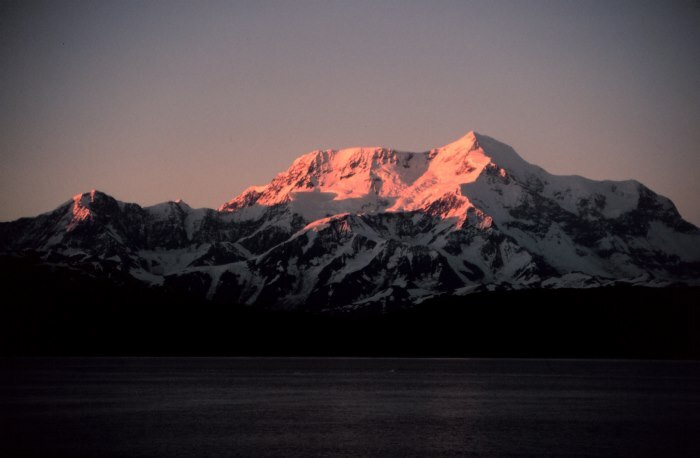 Mount Saint Elias is the most prominent mountain in Wrangell–St. Elias National Park with an elevation of 5,489 meters (18,008 feet). It is the second highest mountain in Canada as well as in the United States – it is located right on the Canadian/Alaskan border. 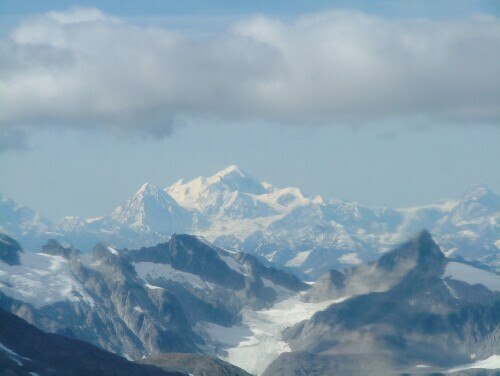 Mount Saint Elias is considered one of the most challenging climbs in the world – it has only been ascended fifty times since it was first conquered in 1897. Mount McKinley (Denali) is not only the highest mountain in North America, but it is also the third most prominent mountain in the world. It reaches an elevation of 6,168 meters (20,237 feet) above sea level. The mountain used to be referred to as Denali (this can be translated as ‘high one’) by Alaska natives, and there is still a great deal of dispute surrounding the renaming to McKinley. 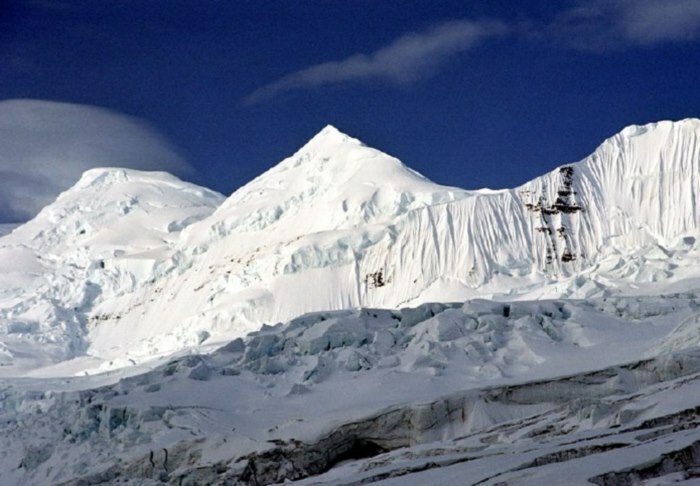 It has a vertical relief of 5486 meters which is more than Mount Everest, and there can be extremely low temperatures on the summit (as low as minus 83 degrees Celsius). Attempts at climbing Mount McKinley began in 1896, but no party managed to successfully reach the summit until 1913.